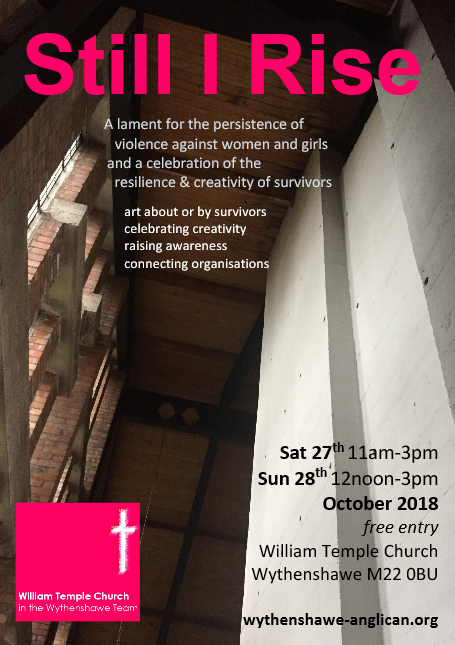 A lament for the persistence of violence against women and girls and a celebration of the resilience and creativity of survivors. Dr Eve Parker will be reciting some of her poetry and also a re-reading of Oholoah and Oholibah. *PLEASE NOTE: on the Sunday between 12.30pm and 1pm visits will be restricted to a small area. The full space will open again at 1pm. Please read our note about where to park, or better still come by public transport. More here.